Arsenal are starved of funds for transfer and Unai Emery would have to sell some players to be able to free up funds for incoming transfers. Lacazette has been solid for the Gunners this season after initially struggling under Arsene Wenger last season. His slump towards December last season saw the club stump out a record transfer bid for Gabon international Pierre-Emerick Aubameyang. Aubameyang quickly settled to life in England, impresssing fans so much that there was a surge in demand for Arsenal Fc tickets! 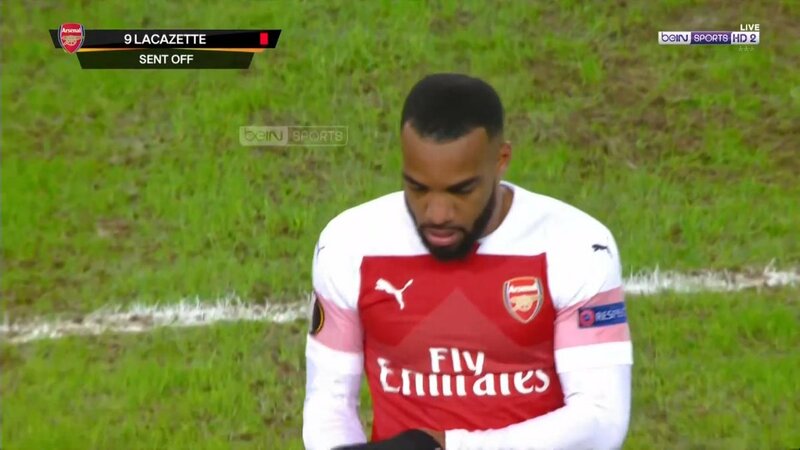 His performances also pushed Lacazette onto the bench for the final parts of the season. However the arrival of Unai Emery this season has seen a change in fortunes for the former Lyon striker as he has been able to force his way into the starting line-up. Capable of playing with his back to goal and scoring crisp goals, Lacazette has made a solid return of 12 goals in all competitions this season. however, according to the report, Emery does not favour a front two attack for next season and this could lead to a summer exit for Lacazette. Also, the Lacazzete is 2 years younger than Aubameyang and Arsenal believes that he has a greater market value than the 29-year-old Gabonese striker. The Gunners have unravelled in the past month and currently lie 5th in the table 2 points of the top 4 position. It is understood that the Board is planning a summer clearout in the club with the likes of Ozil, Lacazette and Welbeck leading the list. Ozil has fallen out of favour with Emery and the club are looking to shift the player off their wage book. This could prove difficult as not many clubs in Europe are willing to match the £350,000 a week wages earned by the German ace. Welbeck’s case is easier as he is in the last year of his contract and Arsenal have informed the injured striker to look for a new club in the summer. It will be interesting to see how Arsenal fans react to the loss of their influential French striker should a transfer occur in the summer.